Should I Buy a New or Used Car - or Lease? The automobile occupies a special place in the American psyche. For most of the 20th century, it was the economic backbone of the nation, spurring growth and innovation across industries including steel, rubber, glass, and petroleum. It was the impetus for the geographic spread of cities and the dispersion of families across the continent. The car symbolizes freedom, status, and utility. It remains the first major acquisition for many Americans, and obtaining a driver’s license is a rite of passage for every teenage boy and girl. While aircraft and railroad passenger miles have steadily increased over the years, auto passengers still log 7.25 miles for every airplane and rail passenger mile combined. According to the U.S. Department of Transportation, there were 192,513,278 automobiles and light trucks registered in the United States at the end of 2011. In 2013, the average age of the typical American’s car on the streets was 11.4 years. Even as new cars are added to the total, older cars continue to be maintained and driven on a daily basis. On average from 1990 to 2010, for every 100 new cars purchased there were an additional 220 used cars purchased and 23 cars leased. In 2012, approximately 7.25 million new cars were bought, with an additional estimated 16 million used and 1.6 million leased vehicles. When buying your first car or trading up, there are a number of factors to consider. Whose heart doesn’t beat faster to the deep rumble of a big V-8? Who doesn’t imagine rolling down the broken shoreline of Highway 1 in a red convertible, top down and hair streaming in the breeze? The trick to managing ego is understanding the trade-offs. A new Corvette is fun to drive, but it costs considerably more money than a Honda Civic. When you drive a Cadillac, Mercedes, or BMW, you are making a statement. Certainly driving a Maserati declares success, and, in some professions, an expensive car is practically a requirement. No one wants to take investment advice from a stock broker driving a 10-year-old Volvo, even if that choice makes the most financial sense. Anticipated Use. Some people use their car as a mobile office, with outdoor salesmen often racking up 30,000 to 40,000 miles per year. Others use it to go to the local grocery store and take the kids to school, with a succession of short trips totaling less than 200 miles per week. Before choosing a car, understand how you plan to use it. If gas costs $3.50 per gallon, a person driving 12,000 miles per year with a 25 MPG tank spends $1,680 on gasoline alone. Meanwhile, a person driving 30,000 miles spends $4,200 per year for gas. Anticipated Ownership Period. Some people want a new car every two or three years, while others are content to drive their vehicles until they wear out completely. People may trade in cars due to a desire for something new, or because of increased income since their last purchase. Some buyers rationalize trading in their older cars for newer models in order to save on fuel costs. According to Edmunds, there are three major milestones in a car’s life: 30,000 to 40,000 miles, 60,000 to 70,000 miles, and 100,000 miles. While cars with 100,000 miles might have reliable miles remaining, resale values are minimal. Each year, safety laws become more stringent. Over time, automakers transfer “luxury” safety features like side airbags, reverse cameras, blind spot monitoring, and navigation systems to their standard models. A newer car is likely to have more safety features than an older model simply because of technological advances. A car’s condition is affected by its history of use. For example, a 2011 Honda Accord that is kept in a garage when not in use in Dallas, Texas is likely to be in a different condition than the same make and model kept on the street in snowy Chicago, Illinois. Acquisition Costs. The price you pay for your car – whatever your choice of model or make – is a matter of negotiation between you and the seller. For new cars, the sticker price is virtually worthless as far as helping you determine dealer costs. However, by using online sources like Kelley Blue Book, Edmunds, and NADA Guides, you can learn about current market prices. In your calculations, be sure to include taxes and title costs for your state. Warranties. 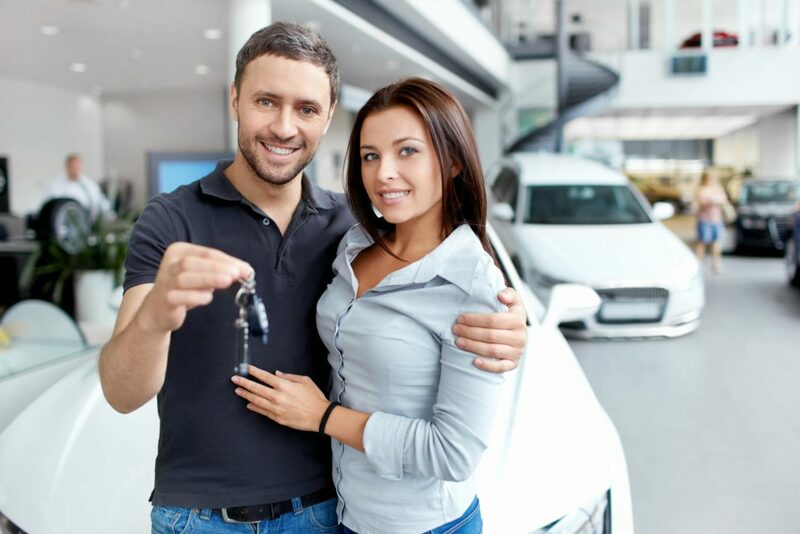 While new cars have a manufacturer’s warranty to cover mechanical and production defects, used cars can be purchased with extended manufacturer or dealer warranties to cover one or two years of service. In addition, there are normal maintenance costs such as oil changes, tire rotation, and checkups. Some new cars also include several years of maintenance when you purchase. Some makes include free maintenance during the warranty period for the initial buyer. Be sure you understand exactly what is covered in the warranty before buying a car. Operating Costs. The big cost of owning an automobile is fuel. For years, new cars have been subjected to higher fuel efficiency standards – the Obama administration announced a new 54.5-MPG CAFE standard for 2025 – so newer cars generally have better fuel efficiency than old ones. With that said, there is considerable difference between various makes and models. Insurance. Auto insurance rates for a new car are generally higher than those for an older car. Lenders, if you have borrowed to buy the car, require you to carry collision insurance and comprehensive insurance as long as your loan is outstanding. Owners of older cars that have been paid off are required to carry minimum levels of liability insurance to protect those who might be injured or whose property might be damaged in the event of an accident deemed to be your fault. Insurance is a significant cost of automobile ownership, so use a knowledgeable agent and compare rates. Depreciation. Cars lose value every day and every mile. As the years go by, the depreciation rate slows so that a used vehicle loses less value each year than its newer counterpart. An important consideration in the purchase decision is whether you use a car for business and can deduct its depreciation. Depending upon the make and model of the car you buy, its depreciation rate might be higher than the drop in value. If you use the car more than 50% for business, you are entitled to use accelerated depreciation. If you won’t be paying cash outright for your purchase, consider whether you want to finance or lease your car. Financing. Financing a vehicle is a different process than purchasing one. Your finance rate depends on your credit score and the size of your down payment. Sometimes, the manufacturer, in an effort to move cars (especially with year-end model changes), makes special financing deals. Be sure to check with your local bank or credit union to see what financing might be available before agreeing to the dealer’s terms. Leasing. Leasing is increasingly available for used cars as well as for new vehicles – especially for high-end, luxury models. Leasing a car is generally a lifestyle choice – the willingness to have lifetime payments that are lower than purchase payments. It may be easier to lease a car than to get financing for an auto loan. However, the payments never stop, and if you exceed the number of miles driven specified on the lease, penalties can be exorbitant. Typical leases have a maximum mileage per year of 10,000 to 12,000 miles. In addition, your insurance costs are likely to be higher for a leased vehicle than one you own. New Car Excitement. It’s hard to beat the satisfaction of driving a new car with its brilliant paint, shiny chrome, and updated electronics. The new car smell is so unique that after-market vendors offer a spray that mimics the aroma. Worry-Free Driving. New car warranties are generally bumper-to-bumper and may include free maintenance and roadside assistance. If something breaks down, the dealer is ready to fix it. Safety. A new car has the latest safety features and technological improvements. Improved Gas Mileage. CAFE standards escalate each year so newer cars always have higher MPG ratings. However, the most important factors in gas mileage are the weight of the car and engine efficiency. Depreciation. As the first buyer, you bear the brunt of the loss in value. A car can lose almost half of its retail value in the first three years. Depreciation, if you plan to trade cars every two to three years, is a heavy cost. Insurance Costs. Due to the newness of the vehicle, you must carry collision and comprehensive insurance in addition to liability. Insurance rates are also higher for new cars due to their greater value. New Technology. The downside of new technology is that it can be employed before all of the glitches are identified and fixed. A new car is more likely to be subject to service alerts in the first three years as the bugs are worked out. Lower Acquisition Cost. A three-year-old car has a retail value approximately one-half of a new model due to the rapid decline in market value. This means you may acquire a used car with all of the bells and whistles for less than a stripped-down new car model. Lower Insurance Cost. While rates are lower for older vehicles, you may elect to have higher deductibles for collision or comprehensive insurance, or forgo them completely. Stress-Free Ownership. An older car already has its share of nicks, dings, and minor cosmetic damage, so you won’t be as worried about kids spilling drinks on the seat or the person in the next parking space thoughtlessly banging a door into the side. Reliability. Automobile manufacturing and technology has improved to the point where modern vehicles can easily go 100,000 to 150,000 miles with regular maintenance without expensive overhaul. In addition, extended warranties are available for many used cars. It Is Not New. Used cars have a color, features, and options that are unique, unlike a new car which you can customize to your specifications. If a used car doesn’t fit all of your requirements, either accept it as is, or find another. Higher Maintenance and Repair Costs. New cars have warranties that cover virtually all maintenance. Unless you get an extended warranty or there is warranty remaining on the used vehicle, maintenance and repairs are your responsibility. Safety. Older cars do not have the latest safety technology. Fuel Costs. Older cars, compared model to model, have lower fuel efficiency ratings than newer cars. Wide Choice. Effectively, you get all of the advantages of a new car with your choice of options in a lease program. This includes any warranty or maintenance provided with a new car. Lower Out-of-Pocket Costs Initially. Down payments for leased cars are generally low or nonexistent, and monthly lease payments are generally lower than you would pay if buying a car on time. Effectively, you get a more expensive car for lower monthly payments. No Depreciation or Market Risk Worries. While your lease rate includes the impact of depreciation and projected loss of market value, you are not typically responsible if the car’s resale value at the end of the lease is lower than originally projected. No Sales Tax. Since you are not purchasing the car, you are not responsible for sales taxes. Tax Simplicity. If you use your car predominately for business, the lease expense can be deducted pro rata. There is no need to calculate depreciation or maintain extensive records for taxes. Continual Payments. A lease entitles you to the use of a vehicle, not the ownership of the asset. 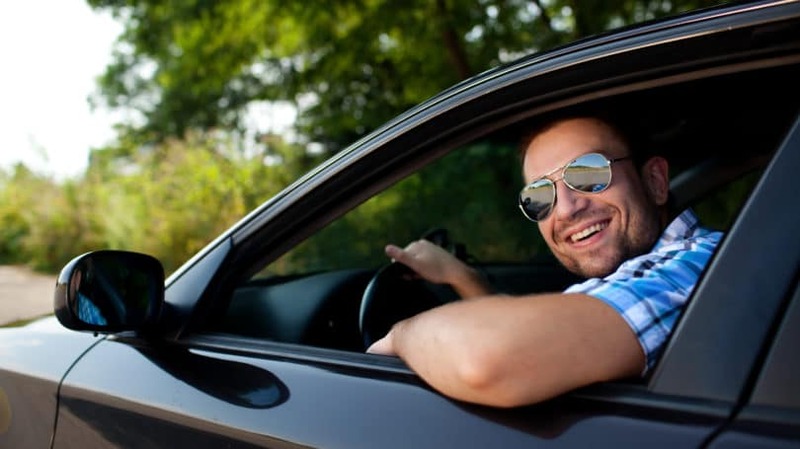 Depending on how long you would typically own and drive a car, your total out-of-pocket costs may be considerably higher for leasing as opposed to owning. Higher Insurance Payments. The leasing agency generally requires higher levels of liability coverage for its vehicle than might be purchased by an owner and lower deductibles for collision and comprehensive insurance. Excess Mileage Penalties. If you exceed the mileage limits specified in the lease, you may be subject to high fees upon lease termination, generally calculated at a per-mile rate. Excessive Wear and Tear. The leasing company might determine that your returned car is in worse shape than expected when the lease was initiated. In such cases, the company may require a penalty fee. Decide on the Make, Model, and Year. Websites such as Consumer Reports, Cars.com, and J.D. Power provide easily searchable independent ratings for all makes and models. Check each website for a full description of rating factors and whether the rating is confirmed by more than one service. “Car & Driver Magazine” evaluates newer cars, while safercar.gov rates automobiles for safety. Ensure Your Choice Fits Your Budget. Using auto guides such as Kelley Blue Book, Edmunds, and NADA Guides, and check the price of the automobile that most appeals to you to be sure it fits your budget. A free web auto loan calculator can help you calculate down payments and monthly payments. Many lenders advertise their best rates over the Internet or in advertisements, so make sure you qualify for the rate before finding your car. Until you’ve selected your specific car, you can assume that the monthly lease rate is lower than the monthly loan payment unless you’re making a large down payment. Find Your Car. The web is the perfect place to see a variety of available choices, new and used. Dealers usually have websites listing prices of their inventory. If you are interested in used cars, you can check local newspapers or websites such as Autotrader or Cars.com. One cautionary note: Spend a little ($35 to $50) to check the car’s history with Carfax or Autocheck before buying to make sure you’re getting a car in the condition you expected. Line Up Your Non-dealer Financing. Be ready to provide your own financing unless the dealer can offer a better deal. Banks and credit unions are good sources for car loans, but the rate you get depends on your credit history and rating. A low payment over a long term may seem attractive – just add up the total installments to see what you’re really paying for the car. If you’ve decided to lease a car, check with dealers, who often offer manufacturer lease programs, and remember that virtually every aspect of the lease is negotiable. Buy or Lease the Car of Your Dreams. Whether you are buying or leasing a new car, negotiate with several dealers simultaneously. Settle on the car, the options you want, and the price you are willing to pay before going to the dealership or leasing company. Many people find negotiations easier if done over the Internet or by phone. Some people find the process of buying or leasing a car extremely nerve-wracking and stressful, always walking away feeling they left money on the table. That doesn’t have to be the case. Indulge your ego on the choice of car, but keep the buying process as unemotional as possible. Remember that a car is just a car. If you don’t get the deal you want, walk away without regret. Are you thinking of buying or leasing a car?